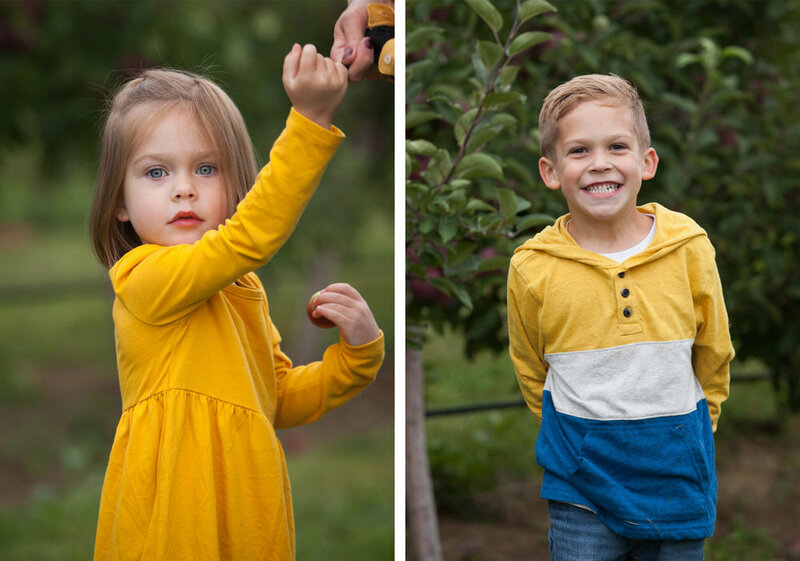 Park Hill Orchard in Easthampton is our favorite place for apple picking in western Mass! 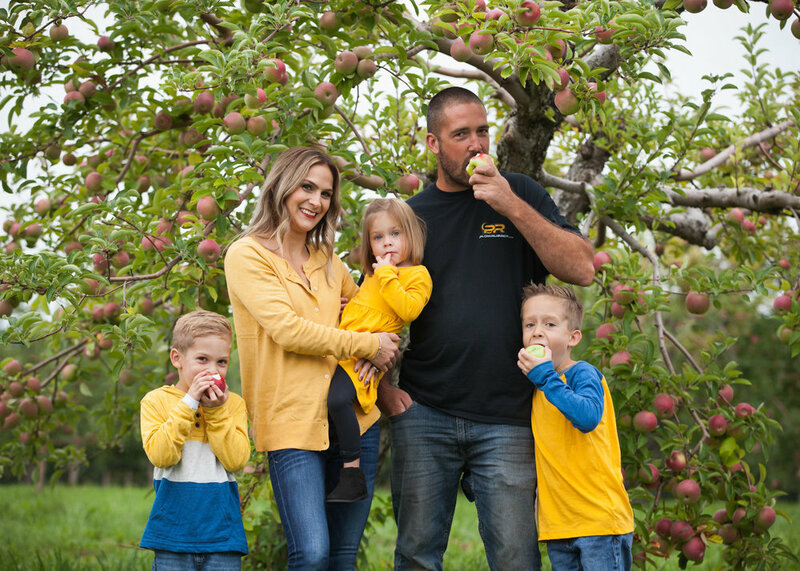 Not only do they grow 45 varieties of apples, they also offer seasonal pick-your-own berries, peaches, pears & more. Once you've finished picking, take the family through the self-guided sculpture walk! The half mile trail features 30 sculptures & a labyrinth throughout the fruit gardens. We met up with Taryn & Nick's family on a cloudy September afternoon. Everybody looked so nice & bright in yellow! The boys immediately took off running into the orchard, picking apples & snacking on them along the way. How perfect is this family?? After filling up their bags, the kids decided to bounce around for a bit. Nick lined the kids up & challenged them to a quick race. All of a sudden, Taryn & Gwen came out of nowhere & threw a ball right at Nick. Brody & Luke were quick to get in on the action, of course! 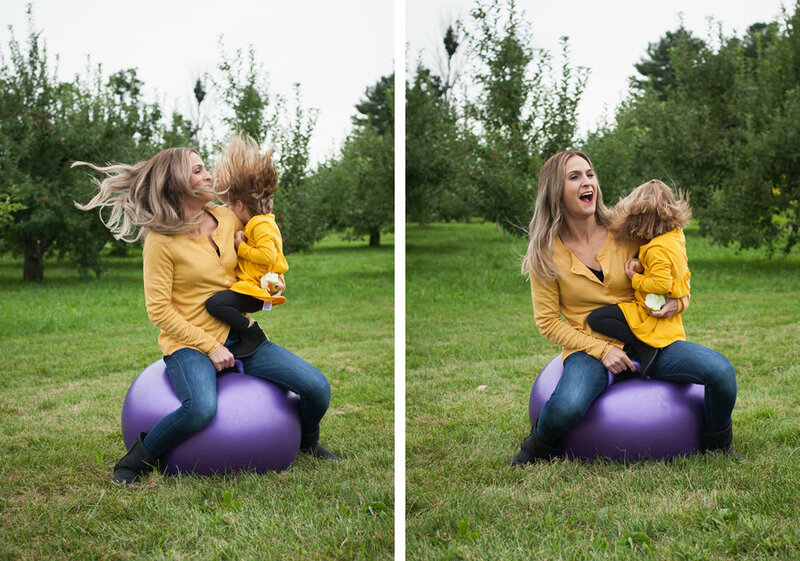 After the bouncy ball battle, Taryn & Brody were showing off their apple juggling skills. Then Nick had Gwennie laughing so hard, we were all cracking up. We love this little lady’s big smiles! Gwen, keeper of the tiny apples. Ready to update your family pictures?? Get in touch & let's plan your fall photo session today! !